Be one of the first to see cinema legends Kenneth Branagh, Judi Dench and Ian McKellen in this emotional story based on the life of William Shakespeare. Set in 1613, the film follows Shakespeare’s return to Stratford after his renowned Globe Theatre burns to the ground, and his attempts to mend the broken relationships with his wife and daughters. Entries open April 1, 2019 at 12:00am AEDT and close April 30, 2019 at 11:59pm AEDT. Australian residents 18 years and over only. Limited to one entry per eligible member. Winners drawn May 1, 2019 at 4:00pm at 2 Holt Street, Surry Hills, 2010, NSW. Winner’s names published by May 9, 2019 on theaustralianplus.com.au. 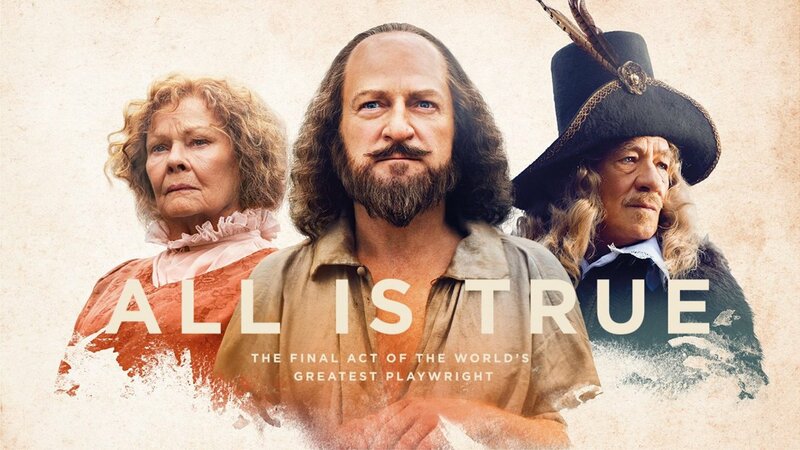 Win 1 of 80 double passes to All is True. Total prize pool valued at $3200.